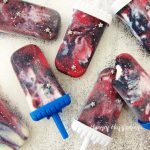 Berry Cheesecake Galaxy Popsicles are Out of this World! July 2, 2017 By This post may contain affiliate links. Blend together blueberries and raspberries with lusciously creamy cheesecake to make these out of this world Berry Cheesecake Galaxy Popsicles. 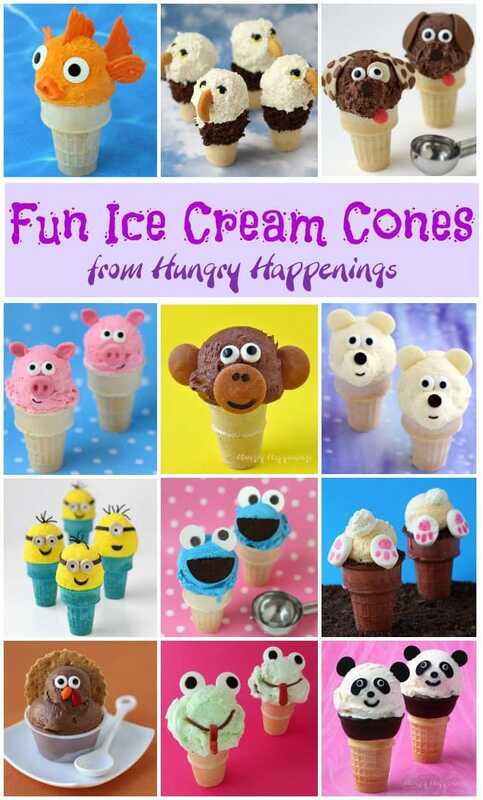 Have you made your own homemade popsicles yet this summer. Or ever? I had not made any since childhood and wanted to make sure that these galaxy popsicles not only looked really cool but also tasted amazing too. It took a bit of work to get this recipe just right. I wanted the cheesecake part of the popsicles to be creamy and smooth like ice cream and I felt it would be best for the fruit pop to be a bit soft too so that you could easily bite into these pops and I found after a bit of experimenting that simple syrup, a solution of sugar and water, added to the fruit and cheesecake filling kept my popsicles from becoming too hard in the freezer. The combination of the berries and cheesecakes is fantastic and the colors imparted by the fruit lent to the outer space look I wanted in my galaxy pops. I did have to pump up the blue color in the blueberries a bit, but only needed a few drops of blue food coloring. Otherwise these pops are colored by the raspberries and blueberries. To add a bit of sparkle to these galaxy pops, I used edible silver luster dust and some silver star sprinkles. I found some Wilton Silver Star Sprinkles at Christmas, but I can’t seem to find them on Amazon to link to them below. You could use edible silver confetti stars or white stars. I’ve shared some links below the video. Watch the video below to see how you can make these Berry Cheesecake Galaxy Popsciles at home. You can find the supplies needed to make these Berry Cheesecake Galaxy Popsicles from Amazon (commission earned for sales). Deep dark outer space colored popsicles made with blueberries, raspberries, and cheesecake. Stir together the water and sugar. Heat on high in the microwave for 1 minute. Place cream cheese in a food processor. Add powdered sugar and pulse until well blended. Pour in 2 tablespoons of the simple syrup and blend until creamy. Combine the blueberries with 2 tablespoons of the simple syrup. Pour into the bowl of a food processor along with 1/2 cup of the cheesecake filling. Remove about 1/3 of the blueberries for the purple layer. Color the remaining 2/3 blueberries using a few drops of blue food coloring. Puree the raspberries with 2 tablespoons of the simple syrup. If desired, push the raspberries through a fine mesh sieve to remove the seeds. Pour back into the food processor and add 1/2 cup of the cheesecake filling. Drizzle some of the three colors of fruit puree into a popsicle mold. Add some of the cheesecake filling. Swirl the mold and use a skewer to swirl the colors a bit more if needed. Repeat until you've filled the mold. Add the stick and lid. Repeat filling all 9 popsicle molds. To remove the pops from the molds, either dip in hot water or run under hot water in your sink for about 30 seconds. Them slide the pops out of the molds. Combine about a 1/2 teaspoon of water with about a teaspoon of silver luster dust. You want this to be thin enough to splatter and thick enough to be metallic in color. Use a food use only paint brush or pastry brush to flick tiny dots of the luster dust onto a popsicle. Brush tiny dots of the wet luster dust onto a popsicle and immediately attach a silver star sprinkle. They will stick as the water freezes. Add some dry luster dust too, if desired. What a wonderful combination, looks galaxtic… I mean fantastic! The popsicles are so beautiful~~~ Thank you for sharing!! My kids will love it. Thanks Cheryl. 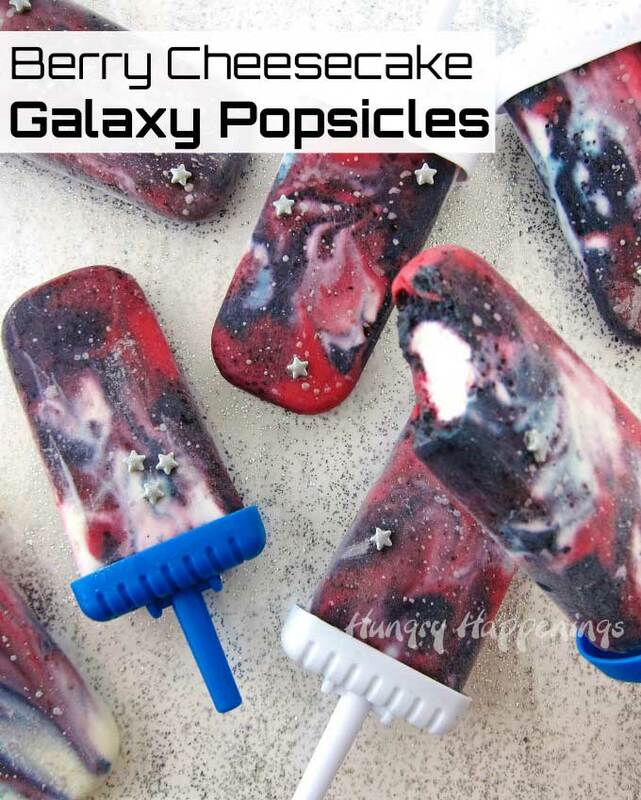 I hope you and your kids have fun making these galaxy posicles at home!